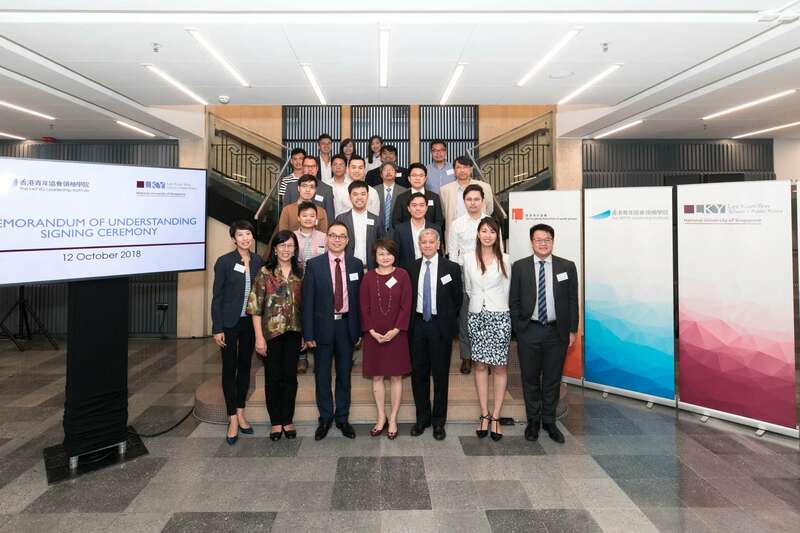 Representatives of The HKFYG Leadership Institute and Lee Kuan Yew School of Public Policy at the National University of Singapore took a group photo with all participating guests. 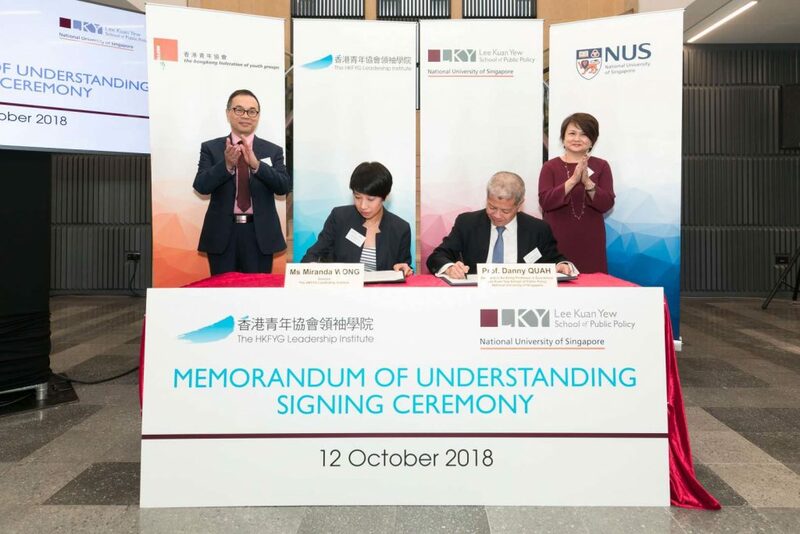 Miss Miranda WONG(2nd Left), Director of The HKFYG Leadership Institute and Professor Danny QUAH (2nd Right), Dean and Li Ka Shing Professor in Economics of Lee Kuan Yew School of Publicy Policy at the National University of Singapore signed the Memorandum of Understanding under the witness of Mr Andy HO(1st Left), Executive Director of The Hong Kong Federation of Youth Groups , Ms Teow Lee FOO(1st Right), Consul General of the Consulate-General of the Republic Of Singapore in Hong Kong and seated guests. 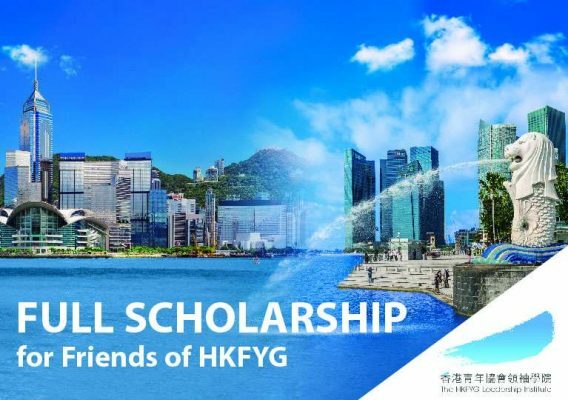 We are happy to share that The HKFYG Leadership Institute (The Institute) and Lee Kuan Yew School of Public Policy (LKYSPP) at the National University of Singapore, ranked 1st in Asia and 22nd in the world, will join hands to nurture Asia’s next generation of public service leaders,equipping young talents professionally with wider vision and international exposure to tackle challenges of the future better. A two-year full-time rigorous training for a strong foundation in economics, political science and policy analysis to meet the demand for skilled policymakers and analysts in the public, private or not-for-profit sectors. A one-year full-time interdisciplinary course of study for professionals who wish to work on increasingly complex issues shaping national, regional and global policies and projects. Email spe@leadershipinstitute.hk if you have any questions about the Programme or Scholarship.